Happy Wednesday Evening Stamping Friends! I'm off to bed since I'm feeling extremely tired! I'll be back on Friday with another post....have a great evening & thanks so much for stopping by! Beautiful card Jackie, very elegant. Very pretty. 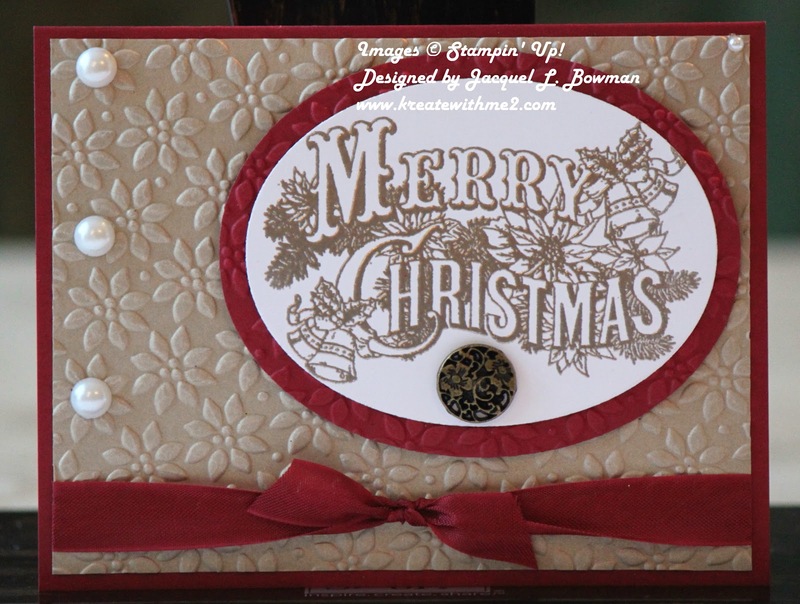 I like that embossing folder you used and the colors are a great choice with this image. I hope your feeling better! 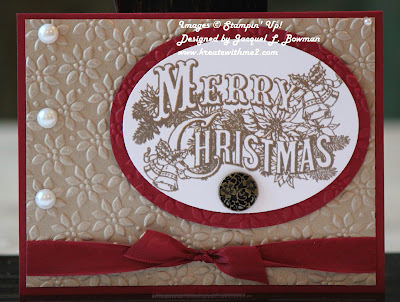 Beautiful card and I love the embossing!! Thanks for sharing with us at Love to Create Challenge!! Beautiful card, lovely design. Thank you for sharing your work with all of us at Crafty Boots Challenges. I love the wholesome feel to this card. The embossing is perfect for the image. This is such a beautiful and elegant card! Love the colors! Thanks for joining my challenge over at Cupcake Craft Challenge this week! Good luck! Hugs and sunshine! Very pretty, love the embossing! Lovely card and the embossing really makes it pop!